Sometimes you will want to signal to your visitor that the conversation has ended, to check it’s OK to move on to the next conversation. 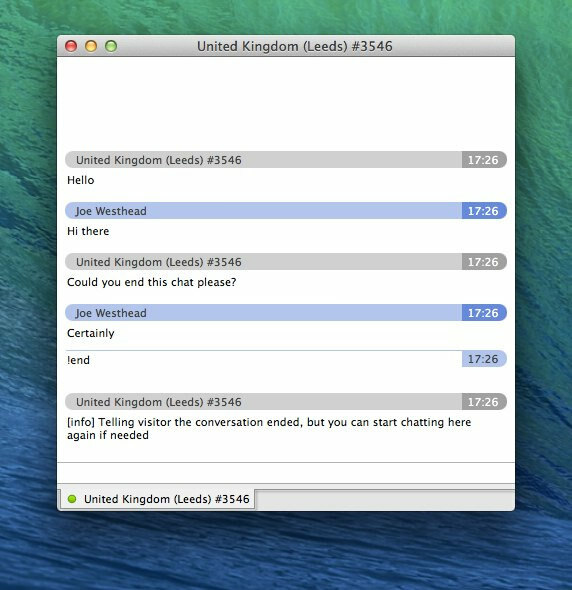 The end chat feature sends a pre-defined message to your visitor at the end of a conversation. You can use this field to remind your visitors that the conversation has ended but that they can still chat to you, or send a link to where they may find more support options. Visitors can also choose to end a chat themselves by clicking the end chat button located on the chatbox. You can end a chat and send your end chat message by using the !end command, closing the tab for the chat, or by logging out of the operator console. If you’re using a supported chat application, you can end a chat by using the !end command. Does a chat end automatically? A chat session will eventually end automatically. 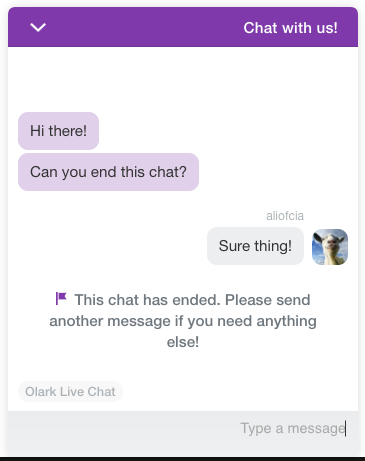 When a visitor leaves your site, the chat session is not ended immediately, but can stay active for up to around 20 minutes in case they return to continue the conversation. In addition, a visitor’s session may end when they have been idle on your site for a long time, so that the chat slot can be made free for another visitor.